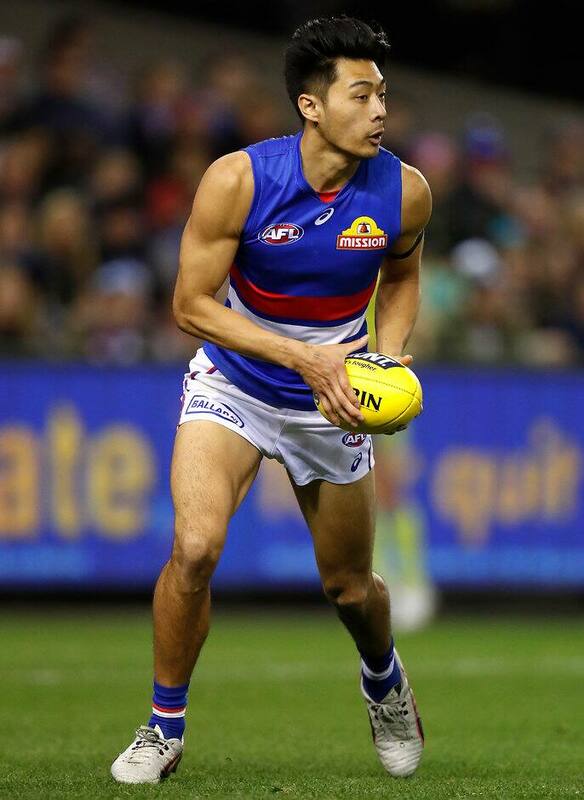 TOUGH Western Bulldogs midfielder Lin Jong has signed a two-year contract. Jong, 25, is committed to the club until the end of 2020. He played 10 games this season, averaging 14 disposals, after returning from a right knee reconstruction he required in June last year. Jong has lined up in 61 matches throughout his career. "I've obviously been here for a little while now, so it was a pretty easy decision when I thought about all the support I've had here and all the relationships I have," Jong told westernbulldogs.com.au. "The way we strung a few wins together, especially at the back-end of the year, and the way we were playing together and jelling, it seems like there are bigger and better things to come. "I'm very excited to stay with the Dogs." He joins Billy Gowers and Tory Dickson as having signed on, while unrestricted free agent Luke Dahlhaus is set to depart. A broken collarbone forced Jong to spend time on the sidelines but he returned before season's end. "Lin is a much loved and respected player at the Bulldogs, and we're delighted he has signed on for another two years," list and recruiting manager Sam Power said. "Lin has had his challenges with injuries over the past few seasons but he showed some terrific form toward the back-end of the season. "We think his best footy is still ahead of him."